Madrid is full of world-class centers for art, culture, and history, most of which can be visited for free on certain days of the week. Here is a general guide to the city’s most famous (and some lesser-known) museums. The three major art museums–the Prado, Reina Sofía, and Thyssen–make up Madrid’s “Golden Art Triangle,” and are conveniently located within short walking distance of each other. You can purchase a Paseo del Arte Card to save 20% on entrance to all three. The museums are pretty generous with their free admission times, so if you plan in advance you can avoid paying entrance fees. Most museums are always free for students with ID, people under 18, seniors, and retirees. The Prado is Madrid’s largest, most famous museum. It’s considered the greatest single collection of Spanish art, and its highlights include masterpieces by Goya, Velázquez, and El Greco. It’s impossible to see all 9,000 works in just one visit, so it’s a good idea to research the sections you’d like to focus on beforehand. You can easily do this through the museum’s website; they have an explore the collection page where you can browse artists and techniques and a downloadable floor plan. The Prado always attracts the most crowds, but you can avoid the busiest times by arriving 10-15 minutes before opening time or right after Spanish lunch hour, around 3pm. 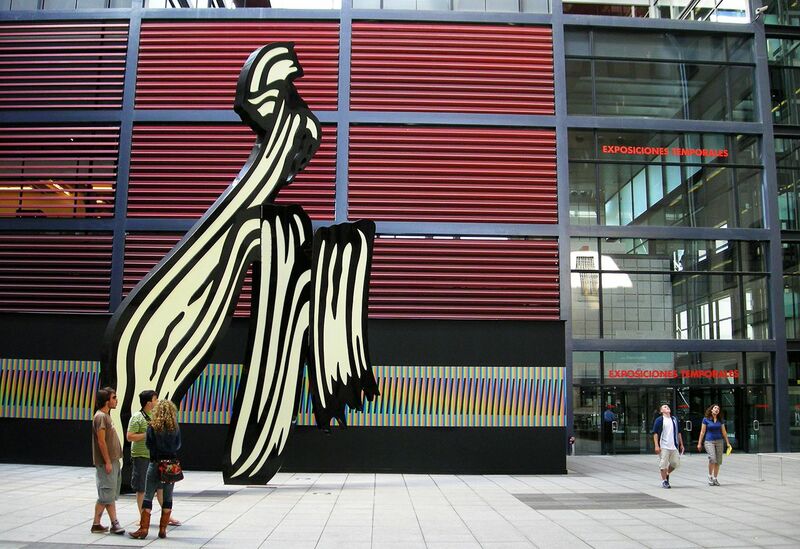 The Reina Sofía is the second largest museum in Madrid and the modern art equivalent of the Prado. The majority of the collection is devoted to Spanish artists–notably Picasso, Dalí, and Miró–but you’ll also find works by other big names like Francis Bacon and Max Ernst. Picasso’s Guernica, a mural-sized painting that depicts the bombing of a Basque town during Spanish Civil War, is by far the most famous piece and is exhibited in its own room. The museum’s layout is confusing, so again I’d suggest familiarizing yourself with the different sections beforehand. On Fridays, the ticket price includes a guided visit. The Thyssen Museum began as the Thyssen family’s private collection of seven centuries of European painting, regarded as one of the most important collections of the last century. In 1992, it was converted into a public museum. The Thyssen is much easier to navigate than the Prado and Reina Sofía, as works are arranged from oldest to most recent, starting from the top floor down. Though it isn’t typically as high on tourists’ lists as the other two, many people say it’s their favorite of the three for the variety of great artists of different styles and time periods, including Caravaggio, Claude Monet, Vincent van Gogh, Kandinsky, Paul Klee, and Jackson Pollock. The museum also has a rooftop with a pricey Mediterranean restaurant and great views of the city that opens in July and August. 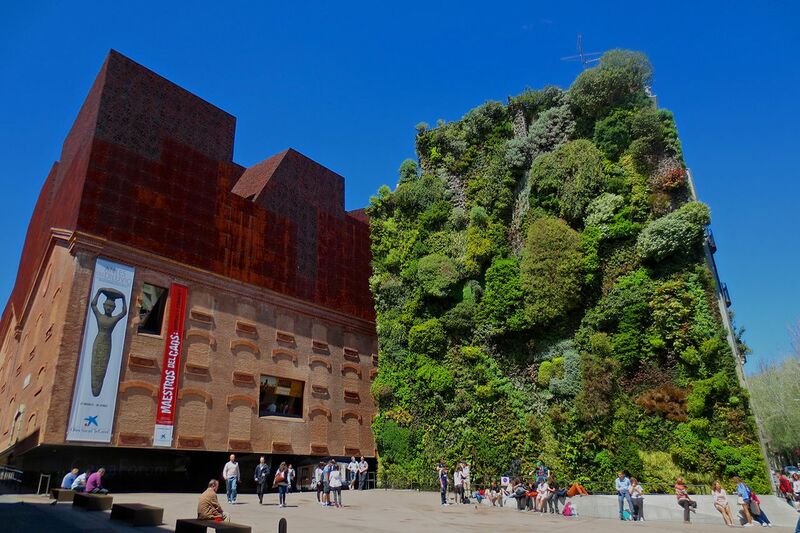 CaixaForum is a museum and cultural center that occupies a repurposed old power plant. From the outside the building appears to be levitating, and there’s a ground-to-roof vertical garden with hundreds of plant species growing on the side of one wall. The building’s unique design is the work of Swiss duo Herzog and De Meuron, the same architects who designed the Tate Modern in London. Inside are four floors of contemporary painting, photography, and multimedia exhibitions, as well as workshops and a theater-auditorium. Even if you don’t enter any exhibitions, it’s worth stopping by to admire the building’s striking outer and inner architecture. 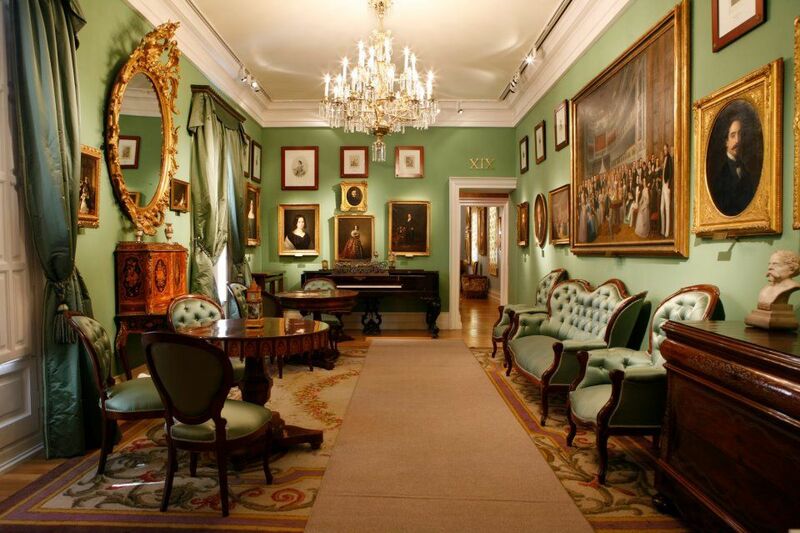 Located in an 18th-century palace in the trendy Chueca neighborhood, this small museum focuses on the history and daily life of the Romantic period. The museum recreates the Romantic atmosphere in its room displays with furniture, carpets, jewelry, paintings, and other relics of the time period. There’s a limit of 100 visitors at a time, but if you have to wait, you can sit for tea in its hidden garden cafe. 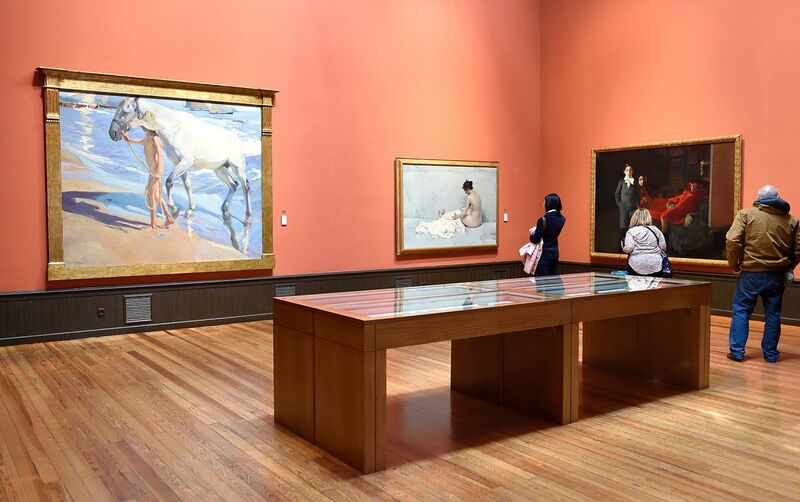 This small art gallery is dedicated to Impressionist painter Joaquín Sorolla (1863-1923), often called the “painter of light” for his beautiful reproductions of Mediterranean light in his portraits and landscapes. The gallery is in his former home and studio, and they’ve preserved the original atmosphere well so you get a feel for what it was like when he was living and working there. 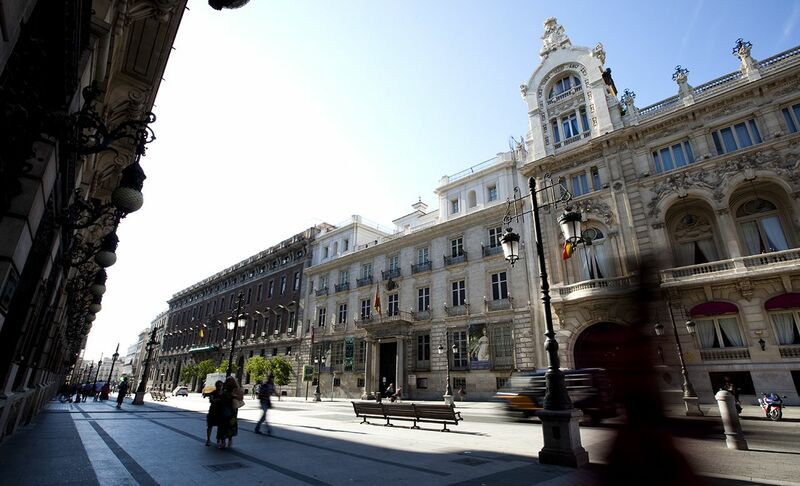 Madrid’s Royal Academy of Fine Arts is another place to see great works of Spanish art. There are over 1,500 paintings and almost 600 sculptures from the 15th-20th century. Goya once served as the academy’s director and many of his works are exhibited here. Notable alumni include Pablo Picasso, Salvador Dalí, and Óscar de la Renta. 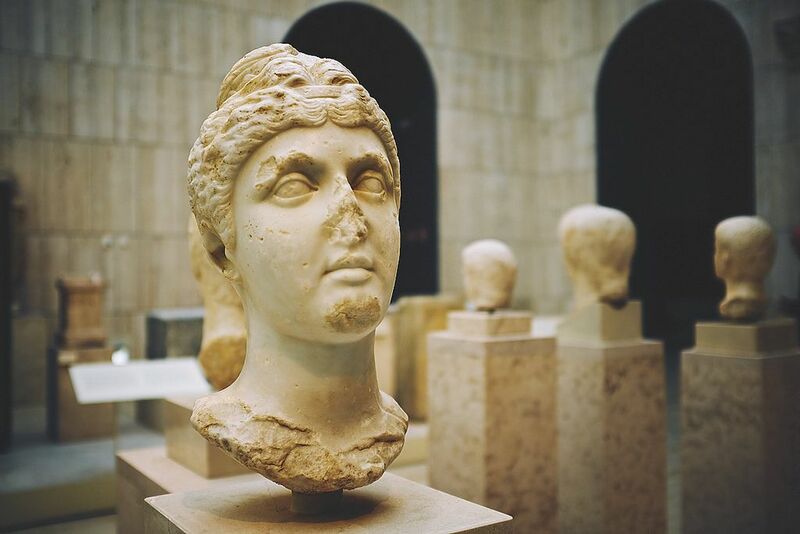 The archaeological museum houses artifacts dating back to prehistoric times. One of the most popular exhibits is a replica of the prehistoric cave paintings discovered in Altamira, Cantabria. 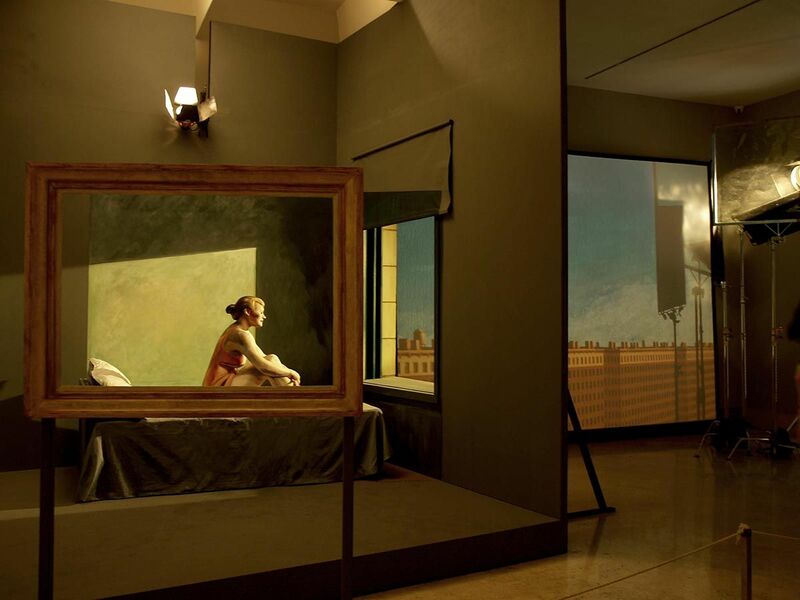 If you want to learn about Madrid’s contemporary art scene, pay a visit to this museum located in the historic barracks of the Conde Duque building. The Saatchi Gallery showcases local artwork the city council has collected since 1980.